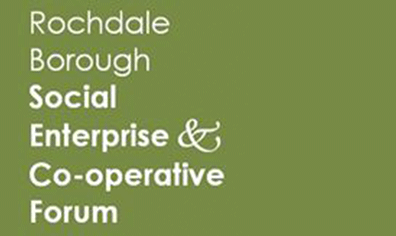 Rochdale Borough Social Enterprise and Co-operative Forum is a network of businesses with social purposes, people working on proposals for them, and supporters of the idea – in the recently declared ‘World Capital of Co-operatives’. The Forum is an unincorporated co-operative consortium run by its members, relying on their voluntary efforts, but purchasing services, such as room hire and catering, from them, whenever possible. We exist to promote business with a social purpose and aim to be the best local co-operative and social enterprise network around, working in partnership with other organisations, businesses, and public bodies, to make Rochdale a better place.